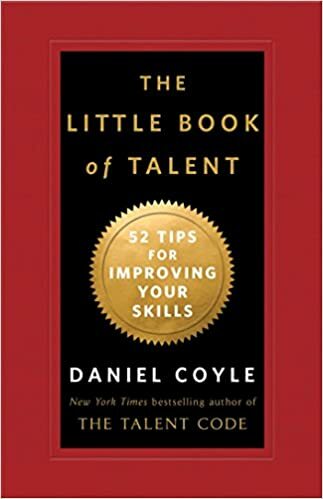 The Little Book of Talent is an easy-to-use handbook of scientifically proven, field-tested methods to improve skills—your skills, your kids' skills, your organization's skills—in sports, music, art, math, and business. The product of five years of reporting from the world's greatest talent hotbeds and interviews with successful master coaches, it distills the daunting complexity of skill development into 52 clear, concise directives. Whether you're age 10 or 100, whether you're on the sports field or the stage, in the classroom or the corner office, this is an essential guide for anyone who ever asked, "How do I get better?"